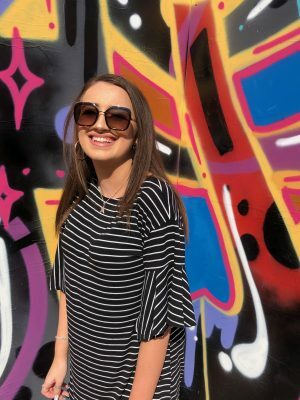 If you have read Hello August last week then you will know that I have recently been on holiday to Tenerife with my best friend Emily, and today is the first of my ‘holiday’ posts, there will be 5 in total over the next week or so. I’m not really a summer holiday, chill by the pool kinda person and this holiday was the first time that I have ever really done it. 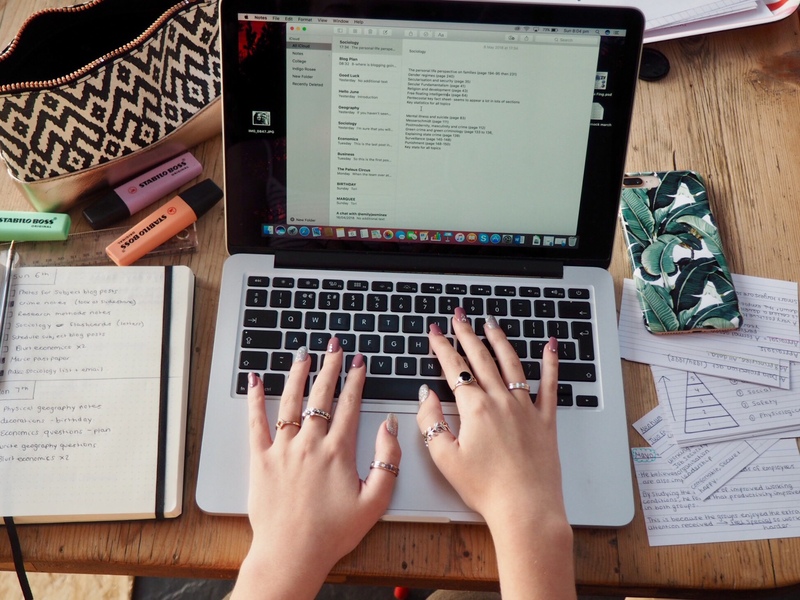 This means that throughout the trip I have been coming up with my list of essentials and things that I couldn’t have lived without, so I thought to share them with you. 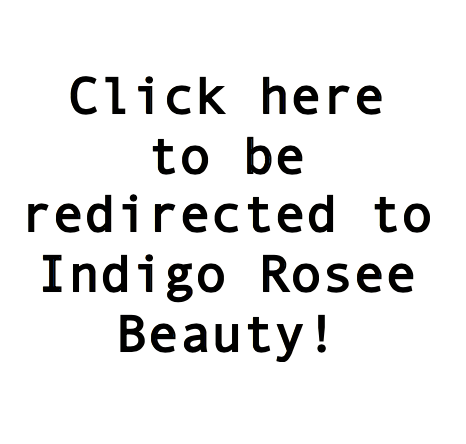 Plus this is the first beauty orientated post that I have done in a while so I’m quite excited to write about all things beauty for once. 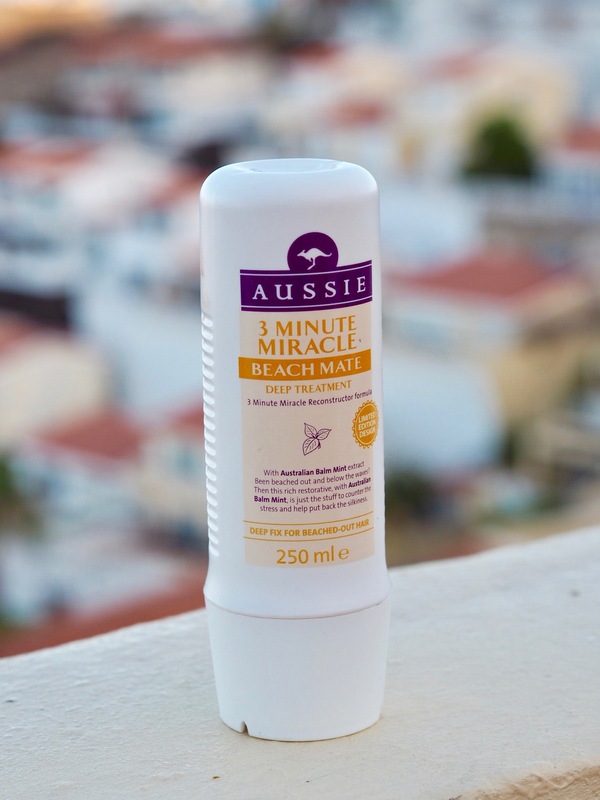 The first product is the three minute miracle ‘beach mate’ deep treatment by Aussie. 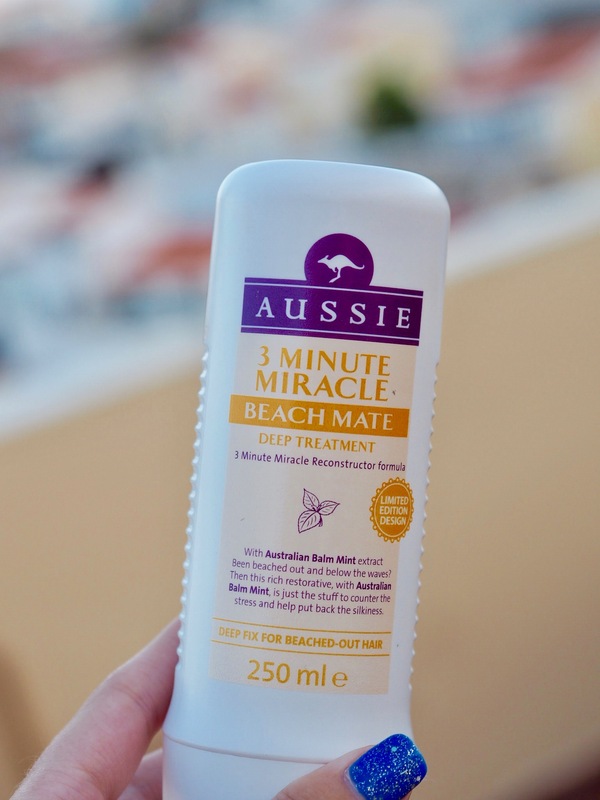 I have used and loved the three minute miracle for a long time but I have never had this type before, which has been formulated for hair that has been ruined by the beach and the chlorinated pool. I hate overnight conditioners as they feel disgusting being on your hair for so long, which is why I love the Aussie one as it only takes 3 minutes and I actually think it does a similar job to the ones that you leave in for 8+ hours. I put it on and then do something else (usually shave my legs) and then I can wash it off by the time I get out of the shower so that I don’t have to deal with a sticky mess on top of my head all evening. I found that this really did what it said on the tin and helped with softening my damaged hair after being in the pool. I also like that it works on different hair types as Emily also loved it, and she has a lot thicker and curlier hair than I do. Definitely worth trying if you are going on holiday soon! The only thing that I would note is that it is a limited edition design so definitely pick it up soon if you are going on holiday as I have no idea how long it will be on the shelves for. The next product is actually Emily’s but I loved it so much that I have already ordered one for myself to arrive for when I get back home. 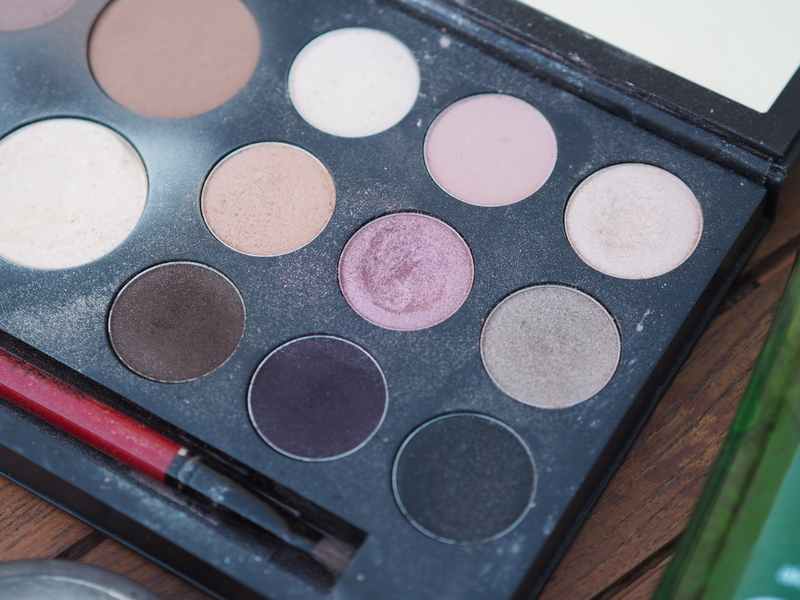 The Smashbox ‘shape matters’ palette has a little bit of everything that you need in it and the colours are so up my street with a mixture of daytime tones and nighttime looks which is perfect for my classic ‘Tori’ smokey makeup. The palette contains a variety of different products with eyebrow powders, two Bronzers, a powder, highlight and then 9 eyeshadows… so basically a full face in a box apart from foundation, mascara and lipstick! 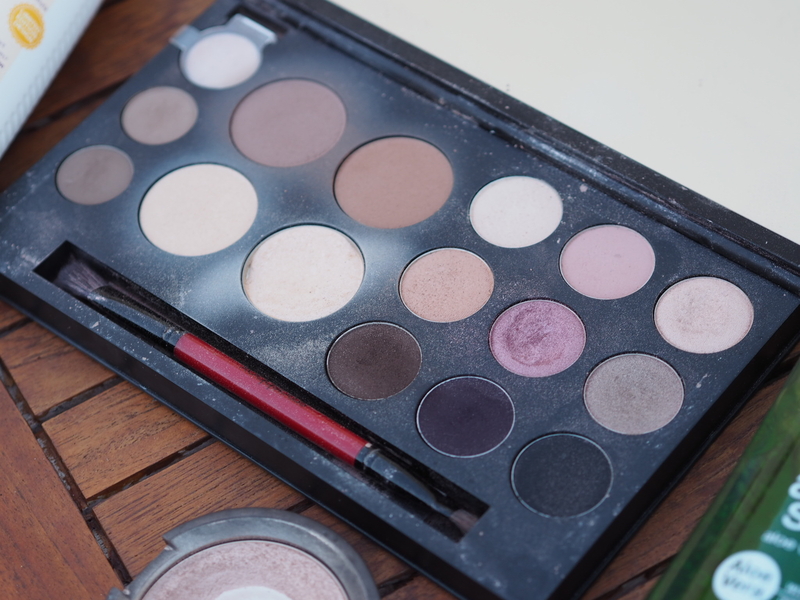 On holiday we weren’t wearing much makeup apart from nights out so this was perfect as we had everything that we needed all within one palette, which was so convenient and makes it perfect for travelling. I’m not sure whether it was limited edition or not (Emily received it as a Christmas present which makes me think it would have been) but I ordered one from Depop as there were so many new/unopened ones on there, which means you get it cheaper and save your money rather than paying full luxury prices! 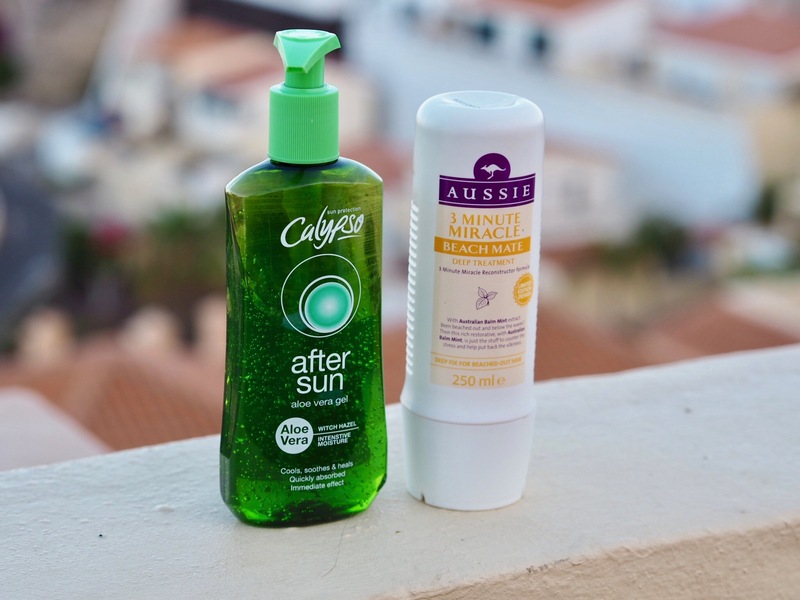 One of the key items and definitely a holiday essential for me is the aftersun that we were using, ours was from calypso but I’m sure that all of the gel form aftersuns are relatively the same. I loved the gel texture as I found it really cooling and the aloe vera was perfect to soothe sunburnt skin. I was a bit stupid and burnt my back at the beach, and this was so helpful to take the heat from the burn and soothe the skin. It was actually the first time that I have properly burnt in my life so I’m so glad I had this in my toiletry bag to be prepared. 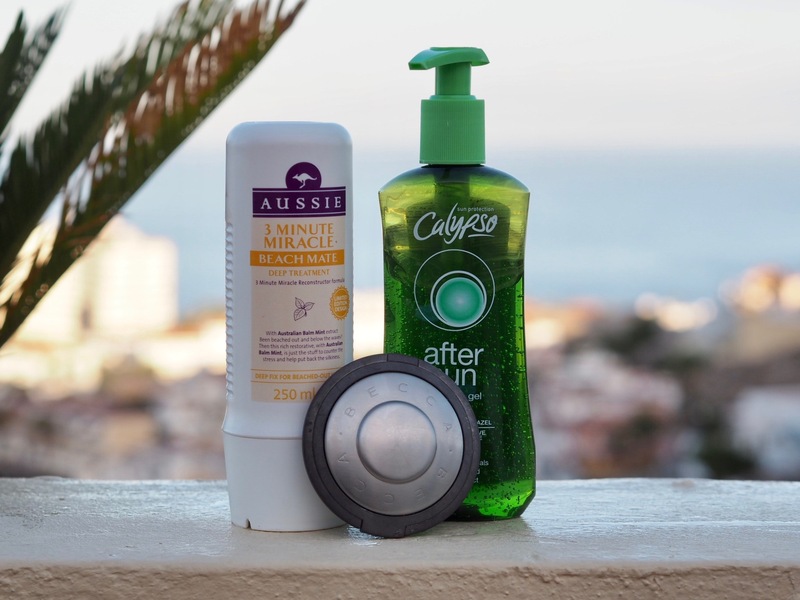 Even if you don’t burn, using an aftersun/moisturiser after being in the sun is crucial in order to add the hydration back into your skin, overall preventing peeling and extending the life of your tan. Even when I haven’t burnt I have been putting this on after my shower and will continue to do so, definitely something to look into if you are going on a hot holiday this August. Shellac nails are something that I have been treating myself to for a while and I absolutely love them (although I actually have a ‘nail 101’ post coming towards the end of this month) but from being on holiday I have realised how perfect they are for travelling even if you don’t get them very often. On holiday you tend to be in water a lot (pool, waterpark and beach) so it means that your nail polish is more likely to chip and look a bit worse for wear after the first few days. Having shellac prevents that problem and means that you don’t even have to think about your nails and instead you know that they are going to look perfect for your whole holiday. 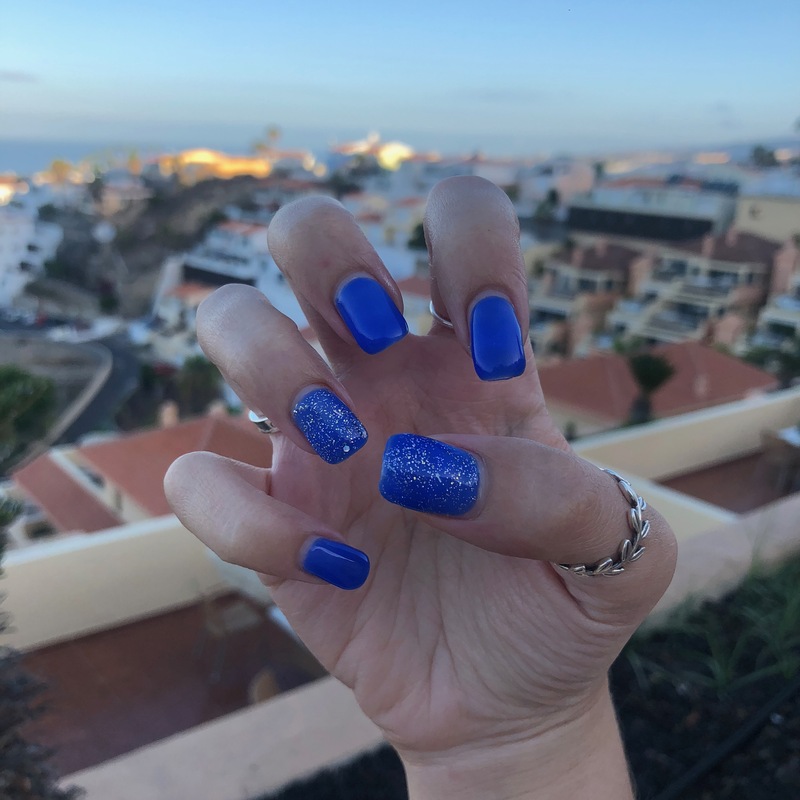 I had a really bright electric blue on my nails for Tenerife with a little bit of glitter and I loved them, they were the perfect colour for a sunny holiday but equally a slightly different take on the classic holiday colours. 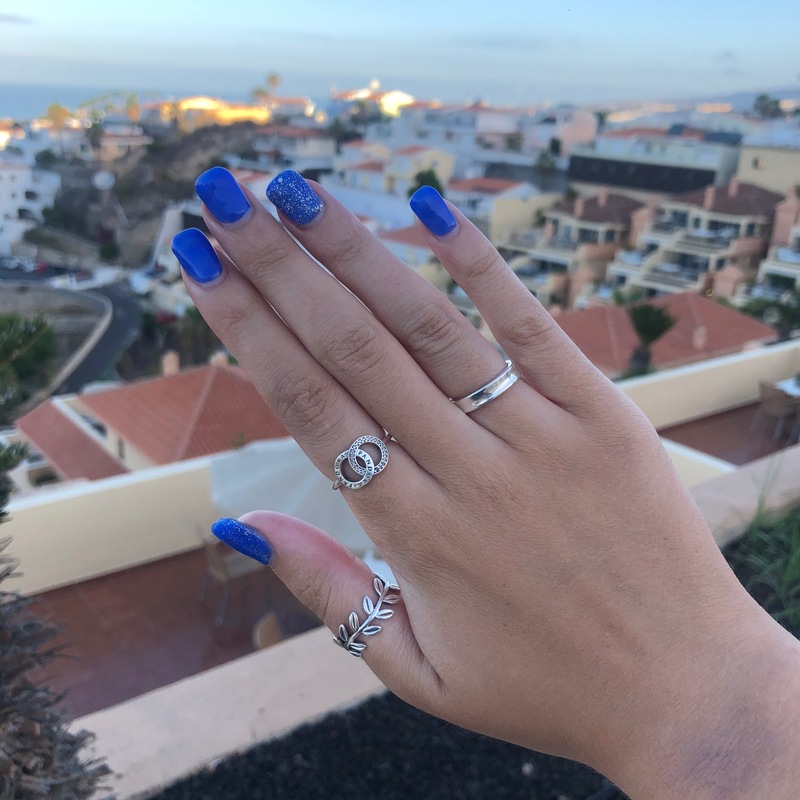 On our first night out I wore a electric blue top and loved being matching with my nails… although I think that says more about how much I love to co-ordinate things than it does the quality of the shellac! This set are a bit shorter than I would usually have them (I am used to claws as my friends would say) and I wasn’t sure about the shortness at first but now I’m so glad I had them cut because it meant I didn’t have to worry about them breaking on water slides etc. The last holiday essential that I wanted to talk about was my trusty favourite, Becca Opal highlight, which is just the most gorgeous shimmery pearl toned glow. 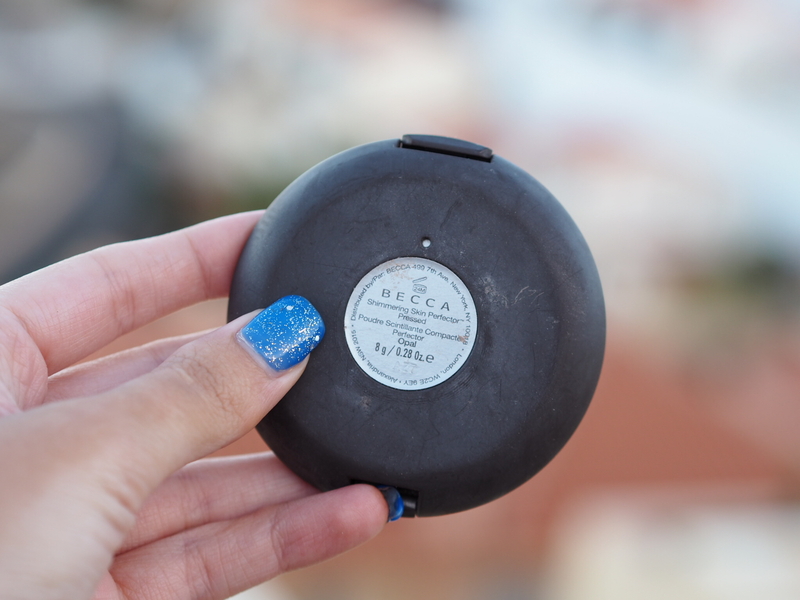 If you have read my blog for a while you will know just how much I talk about this highlighter and it is actually my favourite of all time, it was first brought to my attention by the queen of makeup (Jamie Genevieve) about 18 months ago and I have been obsessed with it ever since. Clearly I love it just by how much I have hit pan on it! 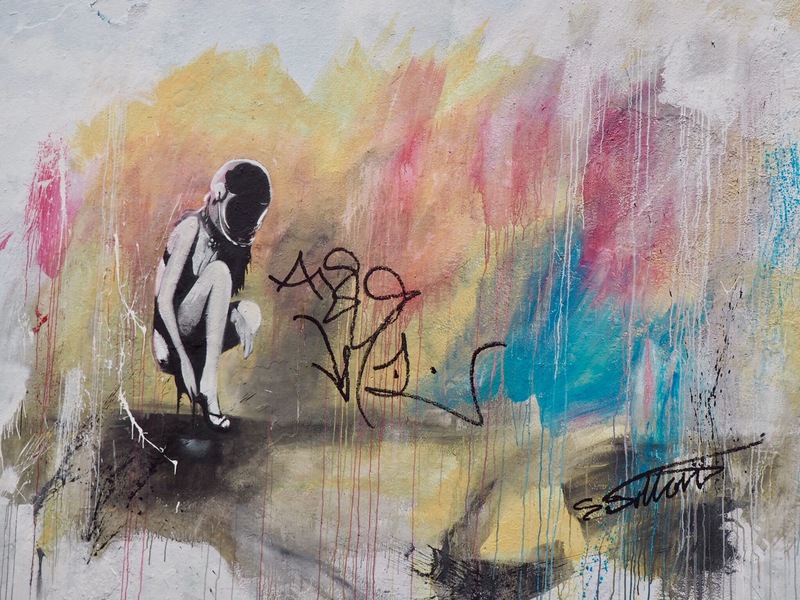 I brought it on holiday with me and I have fallen back in love with it all over again for two main reasons. 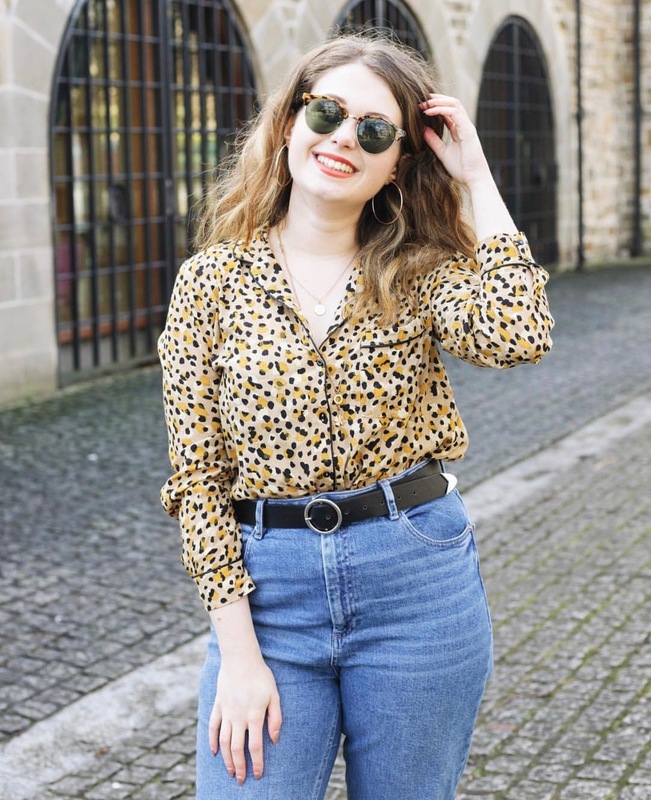 The first is that when I am my ‘natural’ colour it is slightly too dark for me so I can only wear it when I am darker, usually when I’m fake tanned but because I have been on holiday I have got a real tan for once which is pretty amazing so it suits me a lot more now. Secondly there is nothing better than a holiday glow and on some nights I haven’t been wearing bronzer or carving out my cheekbones, instead just layering on the highlight to get quite a natural look but still blinding glow, which is such a good holiday look in my opinion. Becca is definitely a high end brand and it is a pretty luxury purchase but I know that you wouldn’t regret buying it if you love highlight, I have two becca highlighters now and I just want them all. They are so stunning and such high quality, but no matter what other shades I buy Opal will still always be my fave. I hope that reading this post was useful, especially if you are going on holiday at some point in August. If you are more used to ‘pool’ holidays I really want to know your holiday essentials. Like I said I had never been on a relaxing resort holiday before this trip but I will definitely be going on another (I loved it) so I would love to hear your recommendations of what to bring next time. As always thank you so much for reading this post and for supporting me over here, I really appreciate it.